We have many years of experience in site vegetation clearance in preparation for site development or land management operations. 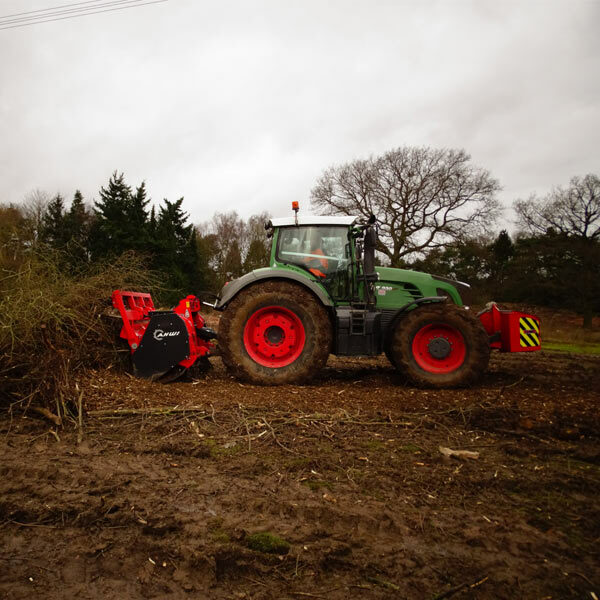 Using our AHWI M700 forestry mulcher mounted on a Fendt 900 series tractor, we are able to mulch trees of up to 40cm diameter either standing or previously felled. We have a wide range of experience in tree removal works and large scale Tree Felling of sites in preparation for site development works. We can undertake large contract wood chipping services with a range of equipment at our disposal to suit all site conditions. 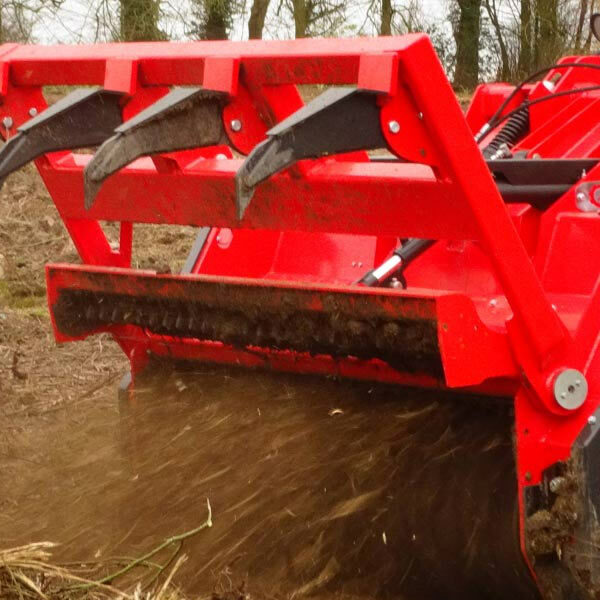 We have a range of equipment at our disposal to carry out the removal, or grinding down of tree stumps after tree felling and site clearance works. We offer rhododendron control solutions across the UK utilising a number of proven methods. 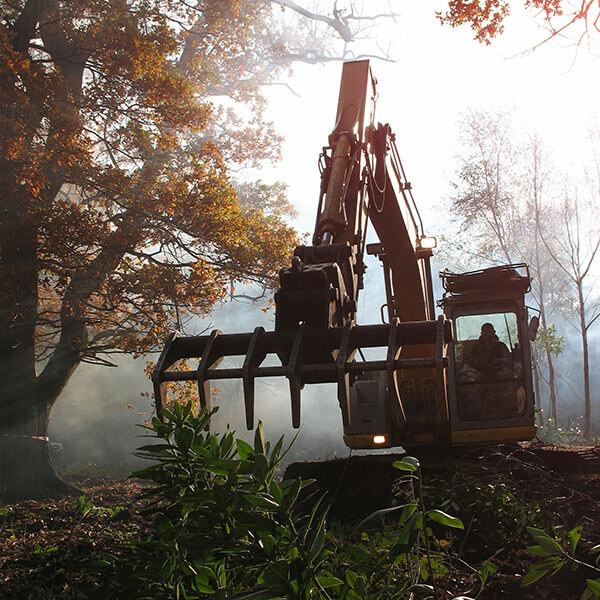 Legacy Habitat Management Ltd operate offer a range of commercial site clearance solutions and services from a complete package of works to prepare your site for development or individual project specific treatments. Legacy Habitat Management can undertake site clearance of trees scrub and other vegetation using its AHWI M700 forestry mulcher mounted on a Fendt 900 series tractor. 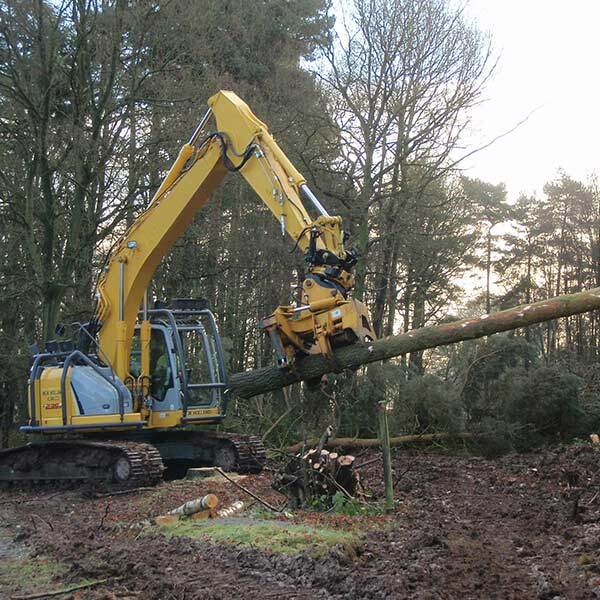 Legacy Habitat Management Ltd have a wide range of experience in tree removal works and large scale Tree Felling of sites in preparation for site development works. We can also perform selective tree species removal such as birch and conifer thinning as part of woodland habitat restoration works. 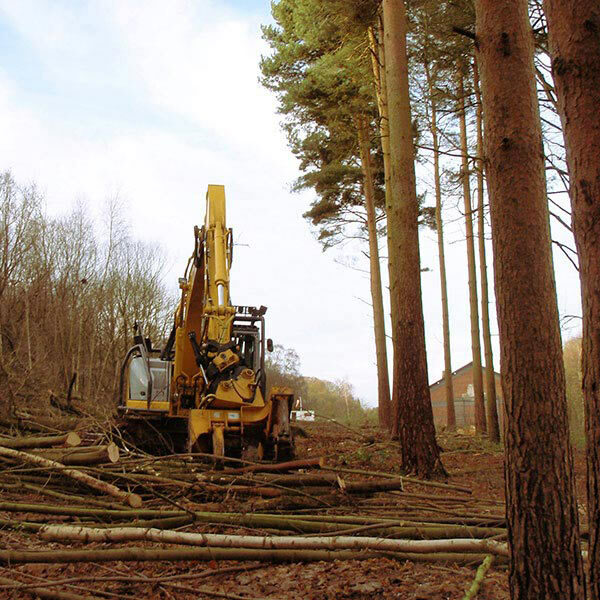 Legacy Habitat Management Ltd can undertake large contract wood chipping services with a range of equipment at our disposal to suit all site conditions. Legacy Habitat Management offer rhododendron control solutions across the UK utilising a number of proven methods. We provide complete rhododendron removal and subsequent follow-up work in all environments including SSSI's and other sensitive locations. Legacy Habitat Management Ltd have many years of experience in site vegetation clearance in preparation for site development projects or land management and habitat enhancement operations. We operate an experienced and skilled team of chainsaw and brushcutter operators for manual vegetation or scrub removal works and a host of larger machinery & plant for larger scale works including tractor and bobcat mounted chain and hammer flail cutters, excavator mounted grabs and rakes. Our aim is to offer a complete package of vegetation removal works from felling, cutting, stump removal/treatment and treating of vegetation material to removal and chipping of arisings. 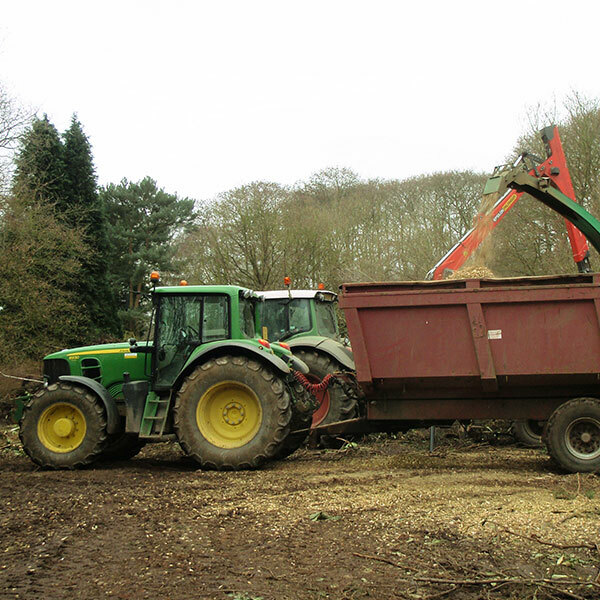 Our brand new Heizomat contract chipper enables us to reduce large volumes of scrub, tree or other vegetation arisings to biomass grade wood chip or mulch quickly and efficiently. We can also provide low ground pressure machinery to carry out vegetation removal works in environmentally sensitive locations.